To deliver consistently high returns, Mapletree employs a business model that maximises capital efficiency. At Mapletree, we combine capital management with real estate development and investment capabilities, which enables us to identify opportunities and create value across different asset classes, at different phases. 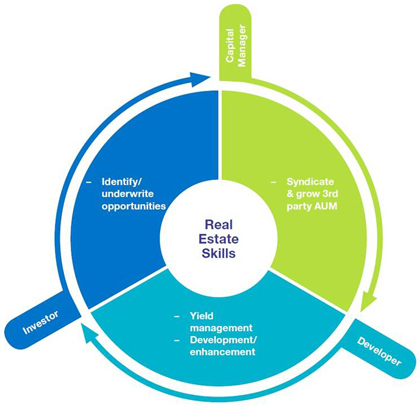 Our business covers the whole real estate investment process from deal sourcing and origination, acquiring and assembling a portfolio of high-potential assets for investment, development and asset management, to strengthening the portfolio for value creation and to generate returns upon exiting the investment.